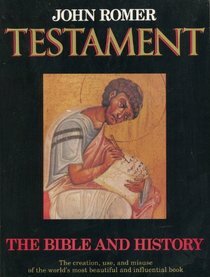 A year or so ago I re-read John Romer’s “Testament: The Bible and History” (1988). The pages are beginning to yellow a bit now. The book, and the original documentary series which it accompanies, is a fascinating exploration of faith from the historical perspective. Bible archaeology can be highly contested ground where scholars would best be wise to tread carefully, but Romer masterfully manages to do exactly that. The first film in the series begins with him sitting in an English churchyard on a lovely summer’s day, and he begins by talking about the Bible and what it means to him. Not so much in terms of his own faith, but in terms of his own family’s Bible – it’s a remarkably old copy, the covers of which have been inscribed by all the preceding generations of his family, dating right back to the 17thcentury. From this starting point he takes the viewer back through a history of how the Bible came to be, how it was read and received through time, and what it meant to different peoples at different times. I first saw the programmes at a salient time in my life. I was already fascinated by ancient history and already beginning to get involved in both working in museums and archaeological fieldwork. I was also attending confirmation classes at my local parish church, the actual building of which fascinated me. I had many interesting conversations with the Vicar and the Curate about the architecture and the old monuments decorating the church. I was also a trainee bell ringer there, and it was often my job as the youngest bell ringer to climb up into the bell tower amidst the bells themselves to fit the mufflers before we rang the bells on Remembrance Day. I remember it was often freezing cold or stiflingly hot in the bell chamber (depending on the season), not to mention very dusty and potentially quite dangerous if you weren’t fully aware of what you were doing up there! Having access to the bell tower though was wonderful for a budding historian as the various levels above the ringing floor were intriguing spaces, filled with the dust of times long since past. The old clock mechanism was a beguilingly antiquated thing. And the stone sets around the stained glass windows had all sorts of weathered graffiti scratched into them – someone at some unknown point clearly had a real predilection for carving intricate flowers into the soft stone. The church itself dated back to somewhere around the 1300s. ‘Testament’ as a TV series and a book seemed to sum up my interests at the time. It visited many places which I too would visit not so long after it first aired on television: Karnak, Luxor, and Elephantine in Egypt; the Pergamon Museum and Wittenberg in Germany; Florence and Rome in Italy; the (old) British Library in London, and, the Pitt Rivers Museum in Oxford. The programme presents a subtle but unashamedly English view of its subject – and indeed there seems to be a perennial fascination in this country for the story of William Tyndall (c.1494-1536) and the King James Bible, how it came about, along with the country’s conversion to Protestantism, and then later the debates started by the publication of Charles Darwin’s ‘On the Origin of Species’ in 1859. But I think what struck me most, perhaps without fully realising it at the time, was Romer’s style of presentation. He has a very easy manner, and talks to you as if he’s having a conversation. He has wonderfully expressive hand gestures, and he assumes from the first that you aren’t an idiot – you must be as familiar with the subject as he is, but, he’s very much seeking to open your mind to the various means and methods by which we can place and interpret real history. It’s amazing how a man simply talking and strolling around an overgrown field of tumbledown old stones can vividly summon images by weaving a picture of words which the viewer can relate to – History genuinely comes alive without the need for silly or forced re-enactments or computer simulations. His writing style is equally as accessible. If I could found my ideal university in which to study, I think I’d like John Romer to preside as its Chancellor. 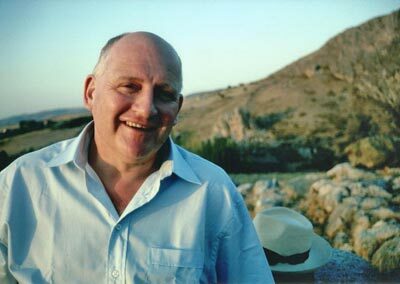 Watching the films again I can feel how he nurtured that interest already long kindled in me from visits to forgotten Neolithic sites whilst on family holidays to Cornwall. Seeing him giggling at a showcase full of ancient statuettes “all jumping and jiggling about” on the glass shelves before launching into some very perceptive reflections which they’d instantly seemed to suggest to him as he wanders around a museum gallery is exactly why I always wanted to work in museums. Objects aren’t simply boring things which sit bland and immobile on shelves. We don’t always need whizzy coloured lights and interactive displays to genuinely engage with the material culture of the past. Just looking at them and reading about them in the accompanying labels and interpretation can set us off and get us really thinking about what they can tell us of the past, or better yet – what they can suggest, which we can then weigh up and debate for ourselves. History is always, and only ever, a reading of the past. We can’t possibly know everything – often we can only guess, but it’s better to attempt an educated and informed guess, rather than a wild surmise. Romer’s style is perfect for opening up just such a conversation – after all that’s what history should be, in my opinion. A conversation between us, ourselves, here and now; and, between us and the past itself. We can do this by visiting particular historical places, by wandering around in museums and libraries, by leafing through old and new books, by chatting with other people who share such interests – this is the appeal of history for me, and also, frequently enough, it’s how I see history appealing to other people too. Curiosity is often highly infectious, and that’s no bad thing. John Romer is the only one of my early scholarly heroes whom I’ve not, as yet, met. I imagine it would be fascinating to chat or travel with him. 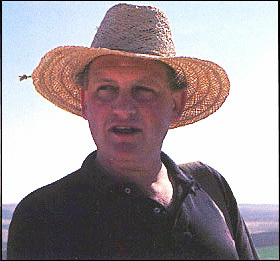 He has written a number of highly acclaimed books and presented several excellent documentary series, mostly to do with ancient art and Egyptology, but sadly there’s relatively little about him nor much about his work currently on the internet. His Wikipedia page and the John Romer Resource Page are the best sources of information, but ultimately the best way to know more about the man is through his work, the books and TV programmes themselves. A playlist of all 7 films of ‘Testament’ can be viewed here on YouTube. The two accompanying photographs of John Romer were taken by his wife, Elizabeth Romer, who is also frequently his co-author (… and they live in lovely Tuscany too! ).